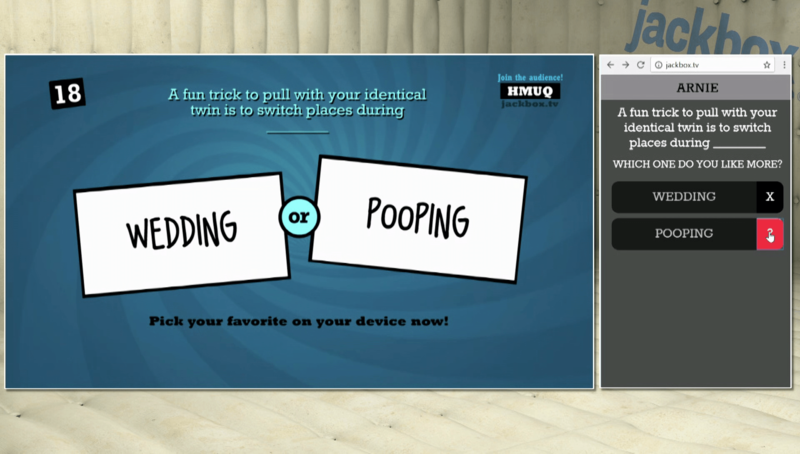 Jackbox games are packed with tons of features specifically designed for streamers. While we’ve tried to make these features as intuitive as possible, we created this video and written guide to explain them in more detail. It won’t take long for you to tweak the games to fit your stream and your viewers. This guide assumes you know the basics of playing Jackbox games. If not, see our handy guide on getting started first! The options discussed in this guide can be accessed from each game’s Settings menu. The game lobby displays icons for key settings so you can tell which ones are on before starting a game. The video below uses The Jackbox Party Pack 3 as an example, but the main concepts apply to all of our recent games. The first player to join a game is the VIP. They have special powers the other players don’t have, so in most cases, you’ll want this to be you. Most of our games support up to 10,000 audience members playing along with the players in the game. While the audience participates in each game differently, there is some common behavior. 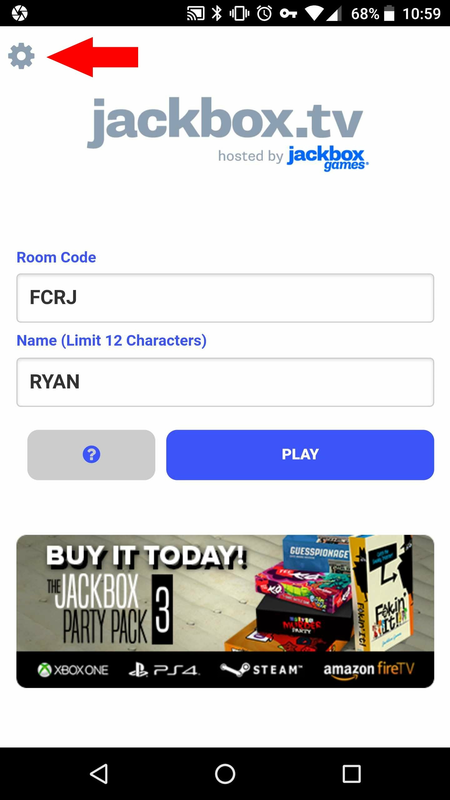 People join the audience the same way they join the game as a player: by visiting jackbox.tv and entering a name and room code. 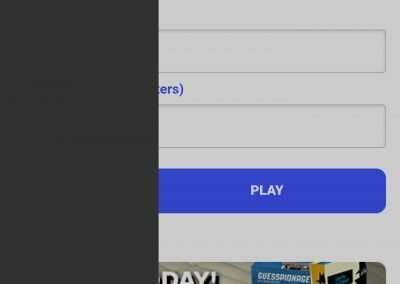 If there are open player slots in the game’s lobby, that person becomes a player. If all the slots are full, or the game has already started, they join the audience. Each game has an “Audience” toggle in the settings to turn the Audience feature on and off. It’s on by default. PRO TIP: If you don’t want your stream viewers to join as players, make sure you don’t reveal the room code to them until the game has started. 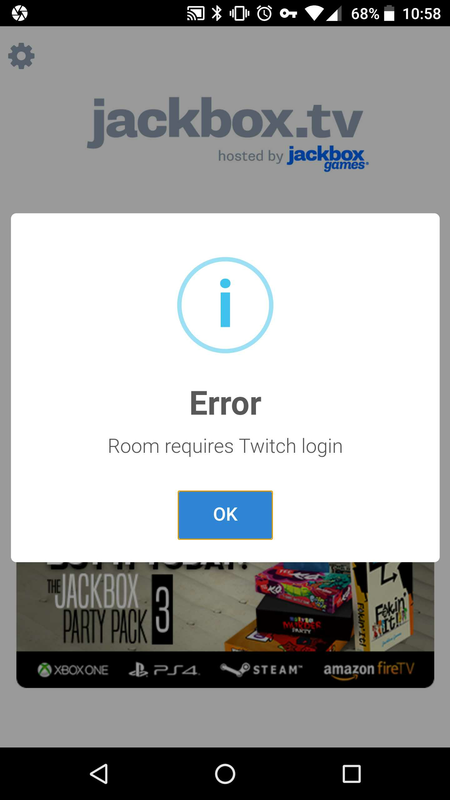 You can either hide the game screen using your streaming software, or use the Room Code Hiding feature described below. Many games have an option for “Extended Timers.” (Default: OFF.) This feature is designed to account for the delay viewers may experience when watching your stream by giving them longer to respond. If your stream’s viewers are participating in the game, especially as players, you’ll probably want Extended Timers on. In games that support it, the VIP can censor offensive content submitted by players. This can be done in the moment, on your device, letting you decide what’s inappropriate for you and your viewers. “Manual Censoring” is OFF by default, so remember to enable it the first time you stream. NOTE: “Manual Censoring” is for player input only. If you want to turn off the most risque questions and prompts from the games themselves, turn on “Family-Friendly Filter” for games that support it. 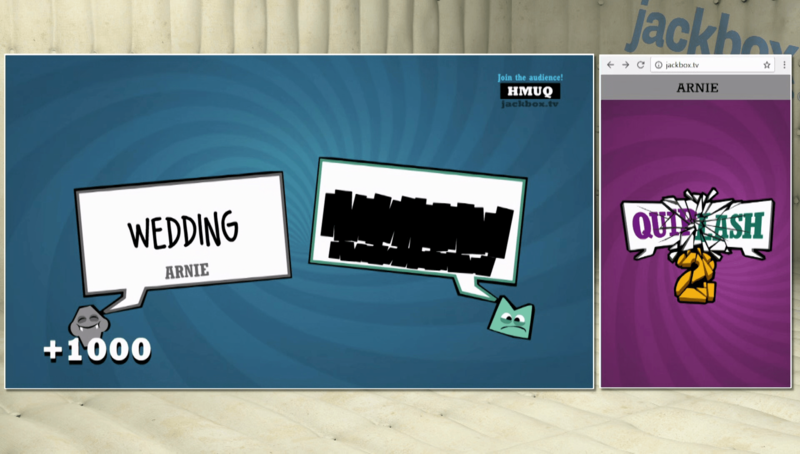 Many Jackbox games have a “Require Twitch” option. (Default: OFF.) 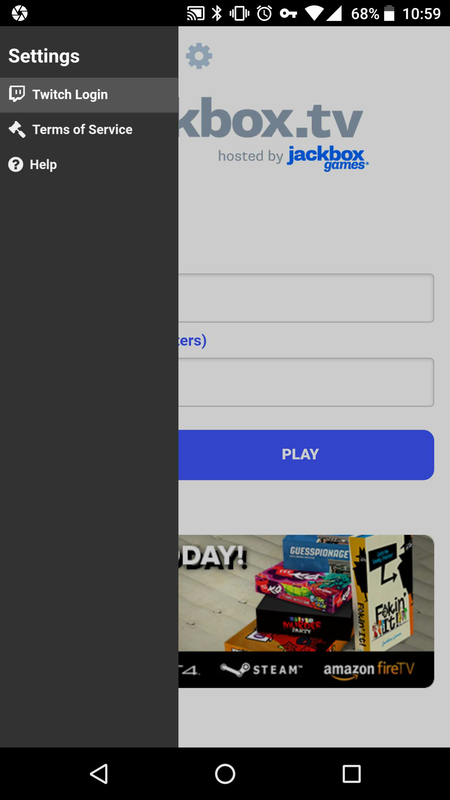 When turned on, players must log in to jackbox.tv via Twitch to join the game. Their player name in the game will match their Twitch ID. Removes some anonymity from the game and provides you recourse if a player is being abusive, racist, or otherwise inappropriate. 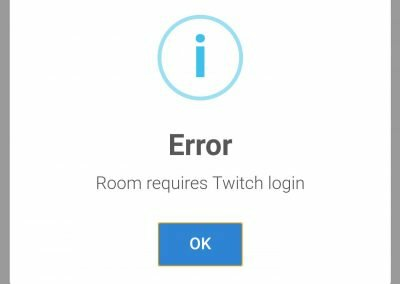 Audience members do not need to be logged in via Twitch, only full players. When this option is on (Default: OFF), the VIP will not be able to start the game from their device. Instead, the game will need to be started using the controller (or keyboard) on the console (or computer) the game is running on. This is useful if you’re streaming a game, but not playing, and you want control of when the game starts. It also prevents another player from joining the game before you, becoming the VIP, and starting the game before you’re ready. When this feature is enabled (and the minimum number of required players have joined the game), an indicator will appear on the lobby screen telling you which button to press to start. When it is disabled, a different indicator will appear telling the VIP how to start the game on their controller. This setting allows you to hide the room code so it isn’t displayed in the game lobby (Default: OFF.) This is useful if you want to have more control over who can join the room. When the feature is enabled, you can toggle the room code on the screen using your console’s controller or your computer’s keyboard. PRO TIP: Unhide the room code before showing the game lobby on your stream. Once you’ve joined the game, hide the room code again, then display the game. This lets you share the room code via other means, such as sub-only or mod-only chats, whispers, etc. “Audience” (Default: OFF). Unlike most Jackbox games, the audience in MSM acts as their own player and can even win the game. Remember to enable this option to let your viewers play along. “Hide Secret Lightning Words” (Default: OFF). Enable this if you want to keep the secret words…secret. “Hide On-Screen Messages” (Default: OFF). This takes some of the fun out the game, but if you’re worried your players may say something offensive, enabling this option prevents any messages from appearing on the game screen. Note that you shouldn’t have to worry about your audience since they choose from relatively tame pre-written messages. Players can block any player sending them harassing messages by using the info icon in the upper left corner of their device screen. Players blocked by the VIP will not have any of their messages displayed on the game screen. “Audience Play-Along” (Default: ON). While players type their answers, audience members can answer a special audience prompt. These answers appear on-screen. If “Manual Censoring” is on, the VIP can immediately end the play-along if offensive answers begin to appear. For extra safety, you can disable this feature all-together. “Audience Suggestions” (Default: ON). Much like the “Audience Play-Along”, audience members can submit suggestions for what the players should write and draw, and these suggestions appear on-screen. Can be disabled in the moment by the VIP if “Manual Censoring” is on, or disabled ahead of time using this setting. “Quick Training” (Default: OFF). When this setting is on, players draw twice during Chapter One of the game instead of three times, and writing time is shorter throughout the game. The game is more fun with more drawings, but if you’re streaming you may want a quicker game with less downtime for your viewers. 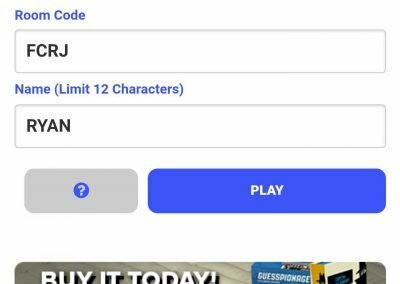 If you’re playing with five or more audience members, the correct answers in the game will be based on the way your audience answers the questions, rather than the game’s built-in data. It’s a fun way to see how well you know your viewers. Trivia Murder Party provides a “No Writing and Drawing Mode” if you want to disable minigames with player input. This prevents players from entering anything offensive as an answer. Fakin’ It is the one game in The Jackbox Party Pack 3 where the players all have to be in the same room. However, audience members get secret information that not all the players have, which makes it a fun game to stream as the chat votes for who they think the faker is.